Your lawn is more than just dirt and grass, it’s an extension of your home or business. It’s not always easy to keep your lawn beautiful. 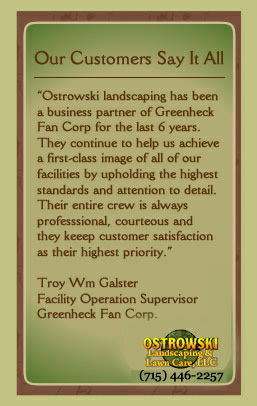 That is why there’s Ostrowski Landscaping & Lawn Care, LLC. We work with everyone from residential neighborhoods to commercial complexes to local businesses. Ostrowski Landscaping & Lawn Care, LLC’s mowing crew is never late so your lawn always looks fresh. Our mowers mulch all clipping leaving your lawn with an even cut every time. Once you have been added to our schedule leave the rest to us. 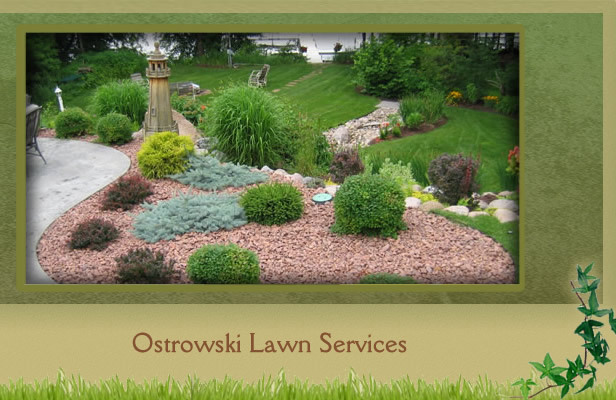 Enjoy the look of your property all season long while Ostrowski Landscaping & Lawn Care, LLC takes care of the work!